Take a few minutes to watch this brief informative video to get an idea of what the Highland Area Community Foundation does for Our Community! Here you'll also find some commonly asked questions about the Highland Area Community Foundation. Don't hesitate to contact us if you have a questions not answered here! What is the Highland Area Community Foundation and how does it operate? The Highland Area Community Foundation is a not-for-profit, tax exempt, publicly supported institution organized and operated for the long term benefit of the greater Highland area. Its primary function is to accept donated and bequeathed funds, invest those funds and distribute the interest as grants to charitable organizations, projects, and needs in the Highland community. It also provides philanthropic leadership by taking the initiative to sponsor or coordinate important charitable endeavors that will improve the quality of life for residents of the community. It is governed by a board of 16 area residents chosen to be representative of the public interest, for their knowledge of community needs, and for their independence from any government or other not-for-profit influence. Who provides funds to the Foundation? Funds are contributed or bequeathed to the Foundation by individuals, corporations, organizations, and families. These gifts and bequests make up the permanent endowment of the Foundation. Who receives grants from the Foundation? Grants are made for charitable purposes in the areas of health and human services, arts and culture, education, religion, civic affairs, recreation, community development, environment, conservation, and others. What is the tax status of the Foundation? The Highland Area Community Foundation is classified by the Internal Revenue Service as a tax-exempt organization under Section 501(c)(3) of the Internal Revenue Code. In addition, it is provisionally classified as a publicly supported organization (public charity) under Section 509(a)(1). 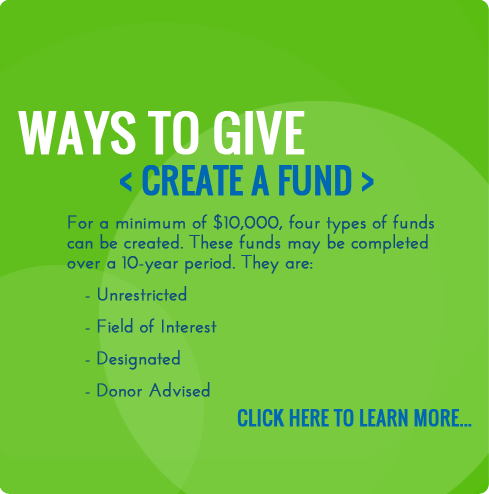 How can donors support the Foundation? Donors can make memorial donations, honorariums, give to the Fund for Public Giving, become a Sustaining Member, or create a fund tailored to meet their specific needs and interests. What is the Fund for Public Giving? The Fund for Public Giving is an unrestricted component fund of the Foundation's permanent endowment fund. Gifts of any size may be given to this fund. Interest from the Fund for Public Giving is used to make a variety of grants addressing community needs. What type of funds may be created? 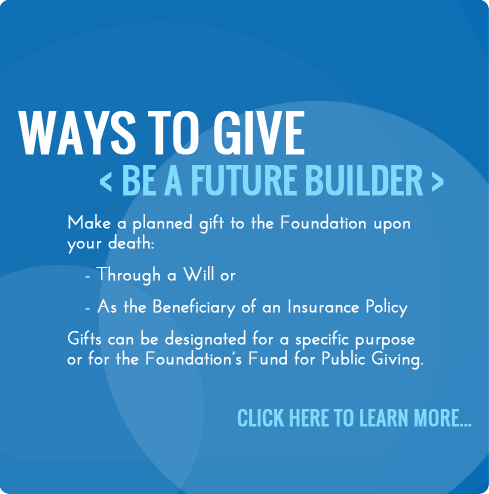 Unrestricted, Field of Interest, Designated, Donor Advised, and Future Builders funds may be created, depending on the donor's charitable interests. The minimum contribution to create a fund is $10,000 and it may be given over a period of ten years. Created funds become part of the Foundation's permanent endowment and may be named or remain anonymous. What type of assets may be contributed to the Foundation? The Foundation may accept gifts of cash, stocks and securities, real estate, and miscellaneous items of value. What are some of the vehicles for giving to the Foundation? In addition to direct gifts, other methods include life insurance, wills, gift annuities, charitable remainder trusts, and charitable lead trusts. In general, the boundaries of the Highland Community School District No. 5, plus Marine and St. Jacob townships, represent the area served by the Foundation. What makes the Foundation unique among area organizations? The Highland Area Community Foundation functions differently from all other not-for-profit agencies in the area. It is inclusive in addressing all the charitable needs of the area. The Foundation holds gifts in perpetuity and disperses the income - preserving the capital and building an endowment to benefit the greater Highland area for generations to come.